Even social media giant Facebook has been ordered to step up data protection as 29 million of its user’s passwords were exposed in 2018. Creating a strong and secure password is a critical step in protecting confidential data and networks. Your infrastructure can come under attack from cyber criminals at any time and passwords can provide the key to that kingdom for hackers. Social engineering - Through social engineering, tricked users enter their password and login credentials to a malicious website or software. 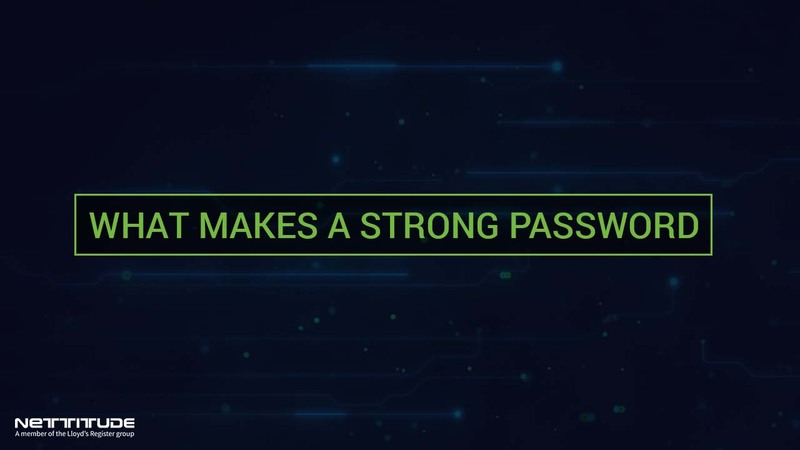 Brute force - In brute force attacks, cybercriminals use tools to automatically enter the most common passwords, with the hope that one of them works. Breached data - When an organisation’s security is breached the connected passwords are often released publically, and users can become a new target of cybercrime. So, how can you keep your passwords, and more importantly, your firm’s data, safe from cybercriminals? How to create secure passwords? On average it takes a hacker one week to crack a ten character password. Moreover, 15 character passwords will take 1.49 million centuries to solve. So, encourage users to create long passwords over shorter complex passwords. TOP TIP: Determine if adopting step five or six is best for your organisation. Alternatively, is it a case of determining the best use case by department? Whatever your decision, ensure that the employee knows which step to follow and has the tools to do so. It may seem convenient to log in without entering credentials automatically, but what happens if an employee leaves their device somewhere, or someone gains access to your office with the intention of committing a cybercrime? If every member of your organisation follows the above best practice guidelines for creating passwords, and the company adopts a rigorous approach to policing the password policy(s), then your company will undoubtedly be forming a strong layer of defence against an ever-growing threat. The latest strategies deployed by cybercriminals to breach an organisation are continually advancing in sophistication. Therefore, it is imperative that we the targeted match the level of effort and sophistication that the hackers provoke.